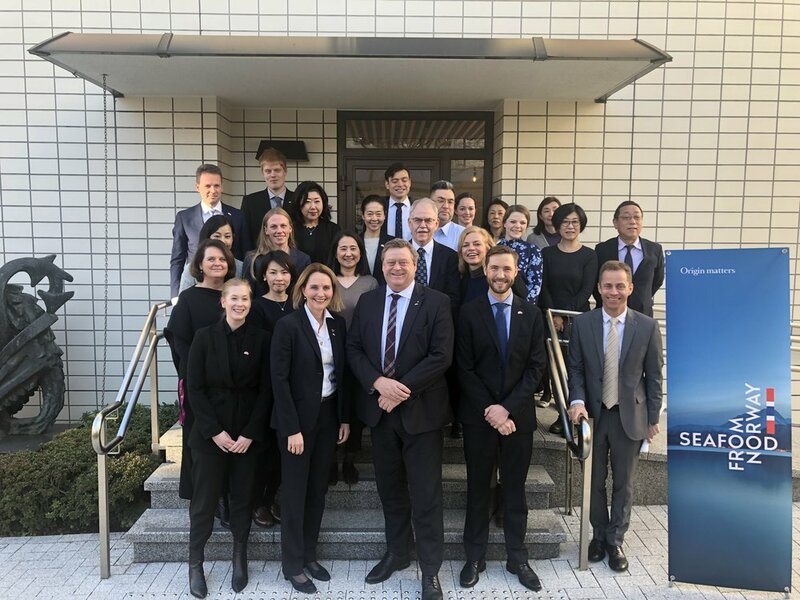 Last week the Norwegian Minister of Fisheries, Mr. Harald Nesvik visited us at the Norwegian Embassy as a part of his one-week trip organized by the Norwegian Seafood Council (NSC) to meet with representatives of Japanese and Norwegian business partners. 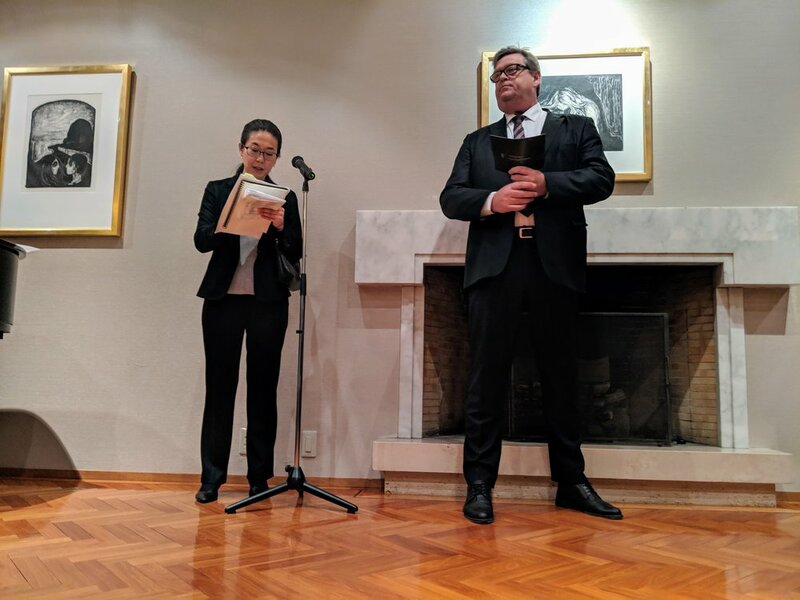 NCCJ joined NSC and the rest of Team Norway for a reception at the Embassy with Mr. Nesvik on March 14th, which was a great opportunity for us to meet with representatives of the seafood sector. 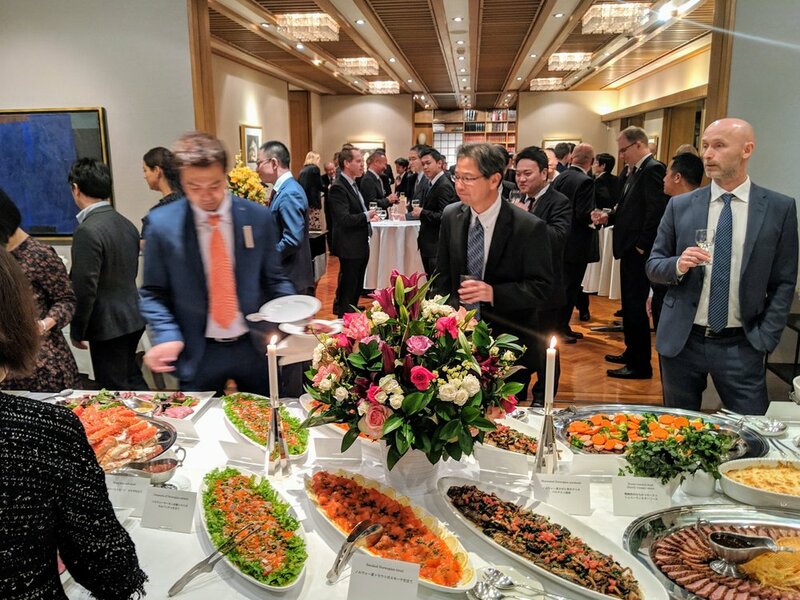 As one of the most important fields for Norway, we are also looking to increase our efforts to promote Norwegian seafood along with NSC and Team Norway, and hope that this reception can lead to increased possibilities for this in the near future. As they say in NSC: Sabarashii!